The cost of dementia to the UK has hit £26 billion a year finds an Alzheimer's Society report published today. Yet people with dementia, their carers and families shoulder two-thirds of the cost themselves. 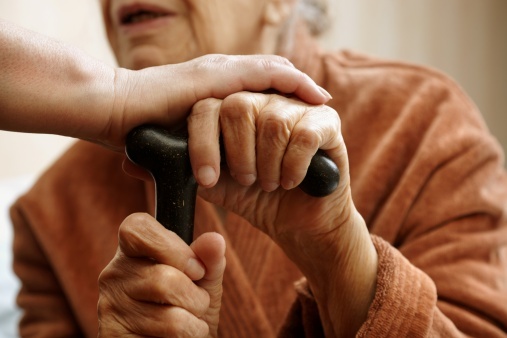 The charity is urging the government to end the artificial divide between health and social care which unfairly disadvantages people with dementia. The new research also reveals that numbers of those affected by dementia is soaring. By the next general election in 2015, there will be 850,000 people living with dementia. If current trends stay the same and no action is taken, this number is expected to bypass two million by 2051. Dementia UK: The Second Edition, prepared by the London School of Economics and King's College London, is the most comprehensive review of dementia in the UK to date. It reveals how people with dementia and their carers are left footing a £5.8 billion social care bill for help with everyday tasks such as washing and dressing. The 1.3 billion hours of unpaid care that carers, usually spouses or adult children, provide would cost the state £11.6 billion if they did not provide it for free. Meanwhile the current cost of dementia diagnosis and treatment to the NHS comes in at £4.3 billion and local authorities pick up a further £4.5 billion. Just over half of people with dementia (58%), reported to be living well. Nearly two-thirds (61%) said they had felt anxious or depressed recently. 7 out of 10 people were living with another medical condition or disability as well as dementia. Of those looked after by a carer, 43% said their carer received no help with their caring role. Jeremy Hughes, Chief Executive of Alzheimer's Society, said: "This new research exposes the staggering financial and human impact of dementia. It is plain to see that our social care system is on its knees, leaving an army of tens of thousands of unpaid carers bearing the brunt. If you have cancer or heart disease you can quite rightly expect that the care you need will be free. That is just not the case for people with dementia. Families are forced to break the bank to pay for basic care for a loved one. These spiralling costs cannot continue unchecked. 225,000 people develop dementia in the UK every year - that is one every three minutes. While government has woken up to the challenge dementia presents, today's report reveals we need radical solutions and serious funding commitments to put social care on a sustainable footing."